100 CC’s of Congratulations, Stat! on the World Premiere of Stitches: The Musical! ​Lakeland Players hosted record-sized crowds for their performance of Stiches: The Musical. A great thanks to Tim Smith for bringing us an astounding 4th Show of our season. It was a joyful comedic look into the E.R. We know based on feedback there will be many future visits to this Hospital. Lakeland Players closed out another show of the season last night with doubleplus good reviews and strong hearts. This moving adaptation of George Orwell's dystopian classic was not only praised by audiences as "unsettlingly moving," but by director Scott Talas as "what needed to be said." Thank you to all involved and those who came to see us! Thank you for Going Back to School with Lakeland Players! 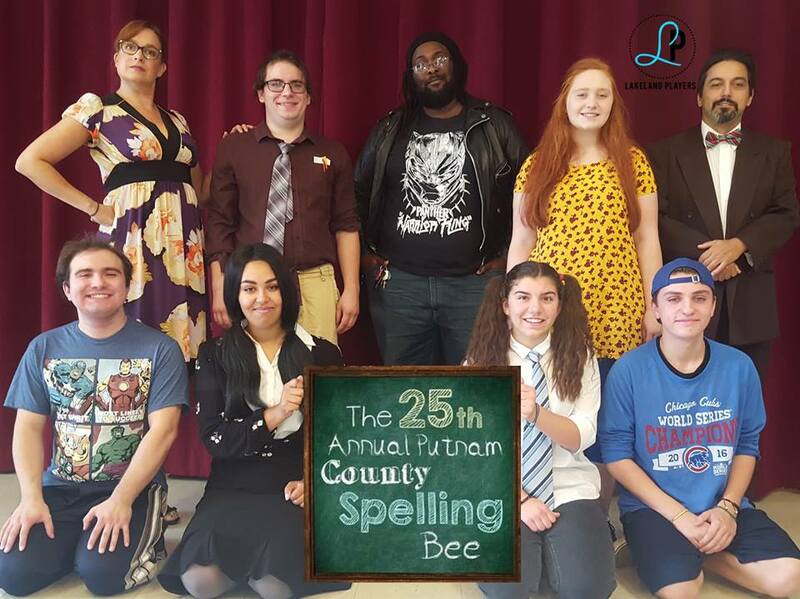 season: "The 25th Annual Putnam County Spelling Bee. This nine-person musical comedy based off a series of improvisational skits by Rebecca Feldman opened to roaring laughter, misspelled words, and definitely excited audiences! A big t-h-a-n-k y-o-u to all involved for a successful show! Lakeland Players along with Pontiac Theater IV participated in the annual Renaissance Festival Fundraiser where volunteers from both groups shared a booth at the Michigan Renaissance Festival out in Holly during its 8-week run​. A lot of money was raised for both groups, and a lot of fun was had by all a big thank you for another successful year! Lakeland players first show of the season Complete works of Shakespeare Abridged was held in the outdoor venue of Goldner Walsh Gardens despite a impromptu rain storm. The show was a great success and a great way to start off the season. Thank you to all the cast and crew involved!